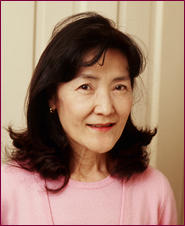 Naomi Yamamoto is a well-respected Japanese sugarcrafter who hasbeen teaching sugarcraft for over 25 years. A wedding cake designer, sugar artist, sugarcraft instructor. She studied in the USA and the UK and is certified by Brooklands College to teach sugarcraft to a high standard. Naomi taught at the Genteel Academy in Tokyo, sister school to Brooklands College, as an executive instructor for 13 years and now teaches at a technical college in Tokyo as well as overseas. She has demonstrated at the British Sugarcraft Guild's International Exhibition and at Squires Kitchen. Naomi's creations often appear in Japanese media, including TV, as well as international media such as Wedding Cakes – A Design Source magazine. Her work is elegant, meticulous, shows a high level of creativity and draws recognition not only in Japan but also from enthusiasts worldwide, particularly her beautiful sugar flowers. 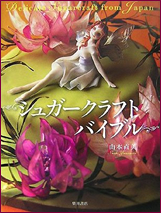 Naomi is the author of Delicate Sugarcraft from Japan (Shibata Shoten, 2007), foreword by Squires Kitchen’s MD, Beverley Dutton, and although it is written in Japanese it has still become a favourite with sugarcrafters all over the world. 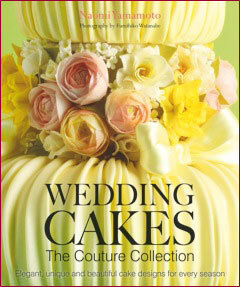 She has also recently published Wedding cakes: The couture collection from B. Dutton Publishing Limited, UK. The book introduces 12 stunning wedding cakes for each month of the year. Showcases a brand new collection of stunning wedding cakes. The perfect sourcebook for brides-to-be and cake makers alike, Naomi offers a wealth of wedding cake inspiration with unique and varied design ideas for every month of the year. By Naomi Yamamoto. 35 GBP (tax included); Hardback cover, 196 pages; published by B. Dutton Publishing Litmited. This eagerly-awaited title from talented sugarcrafter, Naomi Yamamoto, is certain to become a staple in the sugarcrafter’s library. Every popular sugarcraft technique is covered in depth with step photography to demonstrate each skill, spanning over 430 pages in total. By Naomi Yamamoto. 125 GBP (tax included); A-4 size; 436 pages; published by Shibata Shoten.